i am a big user of calendar i have all my calendars shard and corp on my phone. so its a big part of my day. the problem is that i have tries jorte, simple calendar, agenda, but i am looking for a real nice one also i need to make fonts a bit bigger now that i am a bit older and i am starting to use reading glasses anyway which calendar app looks great on the nexus any suggestions? I like Calengoo. It's a pay calendar, but I like it better than the free ones. If you find it in the market, you can go to their web site and get a better look at what it does to see if it fits your need. For free stuff, I like Calendar Pad and Touch Calendar (but still prefer Calengoo). Be careful with the calendar widgets. Some of them can be serious battery hogs, where the app itself is not. I use the stock calendar widget and the others I would recommend you have mentioned the only other one I'm aware of is Pure Calendar widget and Pure Calendar grid. The PCW you can adjust the font size for a agenda widget and the grid offers a monthly calendar view both a number of different skins you could apply. I've been using agenda widget plus, there is a free version as well. I like it because you can edit the look of it a couple different ways and make each calendar that you put on your screen different, so I have one for classes, field experience / meetings and then other things. I use business calendar free, synced with Outlook, it is perfect for my use as it shows the monthly view with all my appointments in text form. I know you said you tried Jorte, but you can change the font size of the words, if I recall correctly. It's also got a ton of widget display options (by week, month, schedule, tasks, different sizes, etc). I'm in same boat as you. Found nothing that worked perfectly and with big enough fonts for my aging eyes. I instead use a combination of Simple Calendar Widget for my home screen display and then link it to Business Calendar for calendar display and management. Both are pretty customizable. The widgets in Business Calendar let a lot to be desired do that's why I paired with SCW. 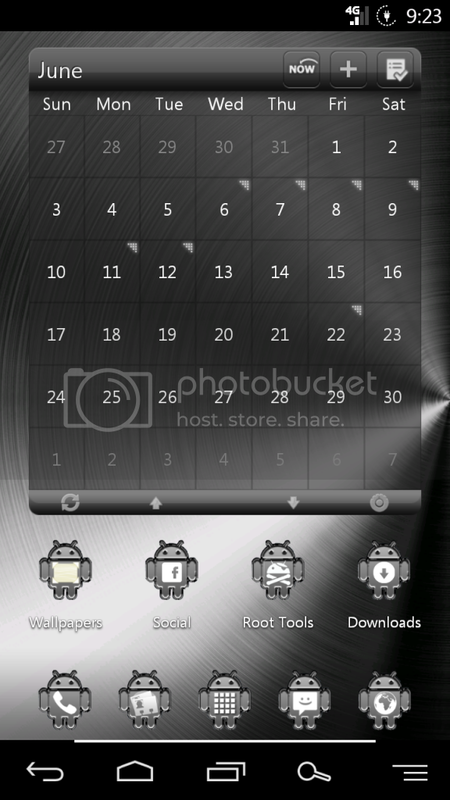 I use Android Widgets Pro, nice big calendar widget and setting events is easy through it. Stock calendar works great for me. It incorporates three email clients and the calendars. Love it. I was fine with the stock calendar until I couldn't figure out how to reply to all attendees of a meeting (exchange account). Is this possible with stock? I noticed Business Calendar has this as part of their paid app and I'm thinking about going with it.